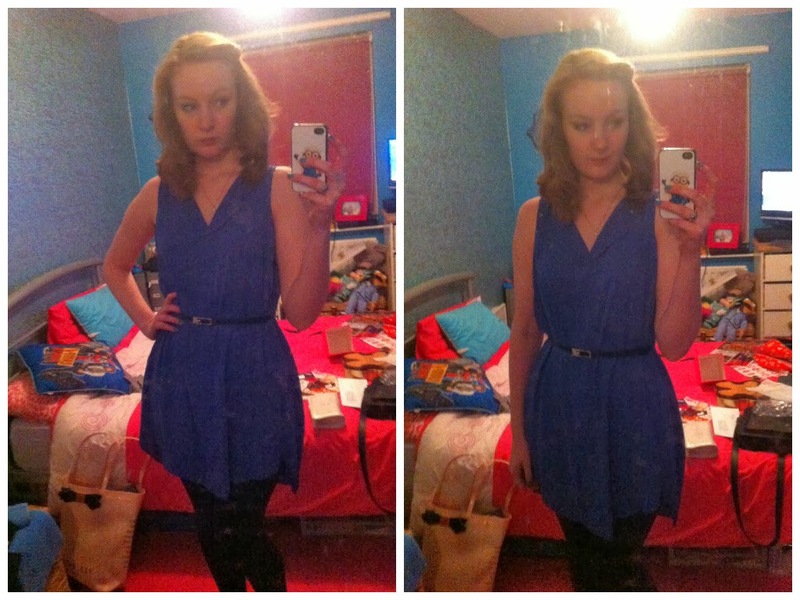 OOTN - New Years Eve! | gingerbread smiles. Firstly I apologise for the poor photos as I just took these on my iphone (as you can tell). It's not often I buy new clothes to get dressed up in but I spotted this top/dress in the warehouse sale down from £40.00 to £25.50 and thought it was really nice. Not my usual thing but I thought it would suit me. When it turned up on New Years Eve, just in time for me to wear it out, I was really pleased with how it looked. I added a belt around my waist to pull it in a little, put some black leggings on with my heels and I was ready to go. Well that is after curling my hair and doing my make up! Unfortunately during the night I spilt something on this when I was out which has left grease stains. Hoping to get these out but I've ordered another one just in case... I love it!